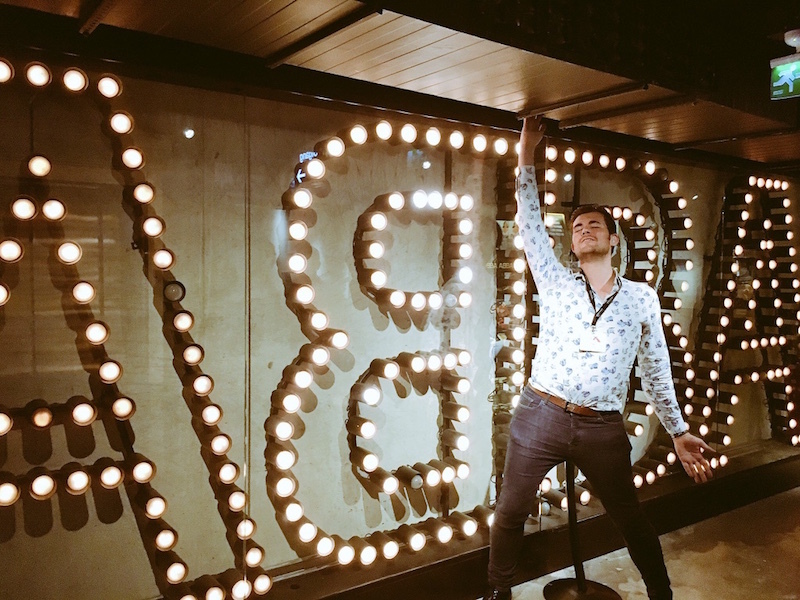 Handsome Travel Blogger at… the ABBA Museum Stockholm! Oh yes, it can’t get any more handsome if the handsome travel blogger is at the ABBA Museum at Stockholm! Based at Pop House, ABBA: The Museum is on the island of Djurgarden, slam-bang in the middle of the national city park in Stockholm. A focal meeting point for Swedish music, the Pop House presents four different exhibitions about Swedish pop music including… you’ve guessed it, ABBA! Also, you can check out the ‘History of Swedish Music’, ‘Good Evening EUROPE!’ 60 years of the Eurovision Song Contest (YES!). You’ll certainly be totally excited like me. Even at one point the staff at Pop House told me to contain myself and true to form, told me in incredulous disbelief that I am a total drama queen after seeing me on stage performing ABBA. It’s a great stop on your visit to Stockholm in Sweden, as not only it has the exhibitions but also a hotel, restaurant and bar. It is STRONGLY recommended that you buy a ticket in advance as a surcharge of SEK 10-20 will be added on top. Follow ABBA on social media! Okay, I mean ABBA: The Museum. Not the pop group… sorry! How handsome am I at ABBA Museum? What do you think to how handsome I am at ABBA Museum? Tell me my score out of 10 in the comments below and I’ll send you a personal copy to your inbox! Meanwhile, have a great Wednesday!